Alpin Motel provides spacious self-contained apartments with free WiFi, just 1 minutes' drive from Rotorua’s famous Whakarewarewa Thermal Village. Guests can also enjoy the on-site thermal-heated swimming pool and hot tub. Centrally located in a quiet street, BK’s Rotorua Motor Lodge offers modern accommodation with free unlimited WiFi and free parking. Most rooms feature a 2-person spa bath. 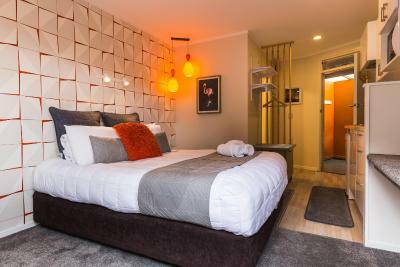 Just 5 minutes’ drive from central Rotorua, Rotorua Coachman Spa Motel offers self-contained accommodation with a private balcony and free WiFi. The propery boasts a large garden with BBQ facilities. Arista Capri Motel offers spacious rooms with free WiFi and a private 2-person spa pool. 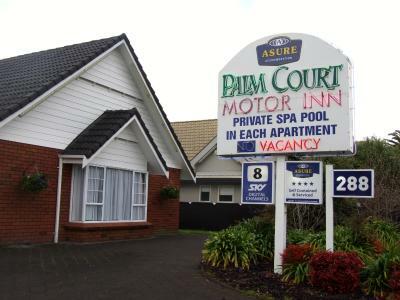 This motor inn is a 3-minute drive from both Polynesian Spa and Rotorua city centre. Free parking and free bike storage and wash-down area is provided on-site. 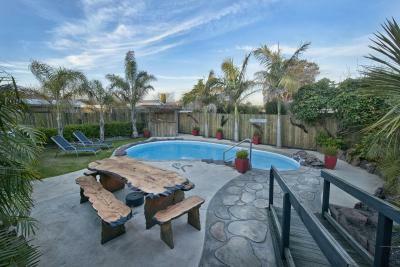 Offering accommodation with free Wi-Fi and a hot tub, Malones Motel is just 4 minutes’ drive from central Rotorua. Guests enjoy free on-site parking. All apartments offer a kitchenette with a microwave.